After making a speech about freedom, Satsuki is attacked by one of her mother subordinates. Ira defends her and Inumuta releases the students using needles. Each student has been trained to fight against the Life Fibers. Nui prepares to enter the fray, but Uzu challenges her. Satsuki’s mother recovers from her wounds, seemingly having fused with the Life Fiber. The four Devas battle Nui together, though their attacks seem ineffective. Mako is tasked with helping evacuate the audience. Satsuki reveals that her father told her the truth of her mother. That in order to test the Life Fibers she killed her own daughter. Satsuki uses the sewing club to stop the Original Life Fiber. 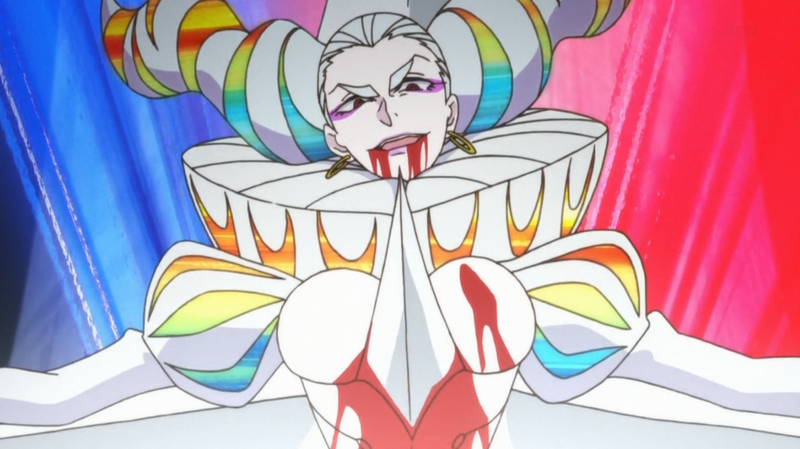 Kiryuin breaks free and takes over Satsuki’s soldiers, use her “Marionette Threads”. 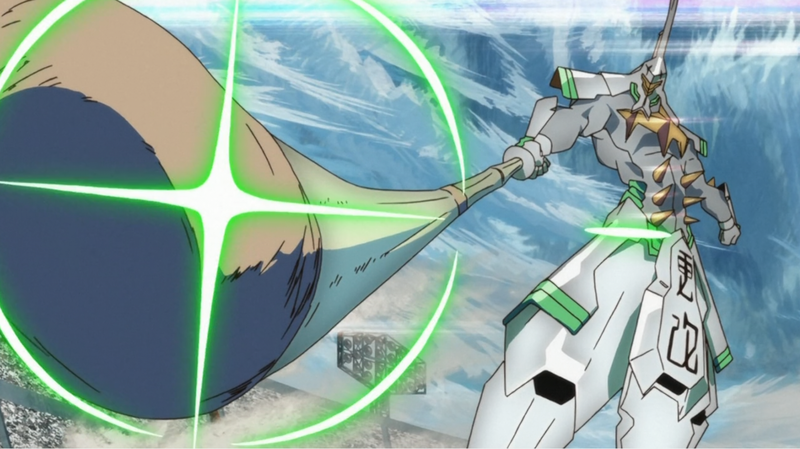 Satsuki suits up and quickly begins to battle her former soldiers. 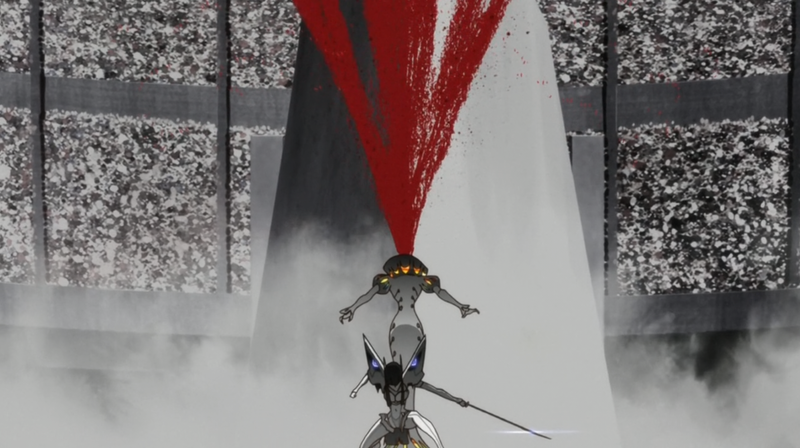 Kiryuin uses her Marionette Thread on Ryuko gaining control. Nui continues to eluded the four devas, leaving her clone to battle them instead. Ryuko breaks free of Kiryuin’s control, Nui arrives and taunts Ryuko about her fathers death. 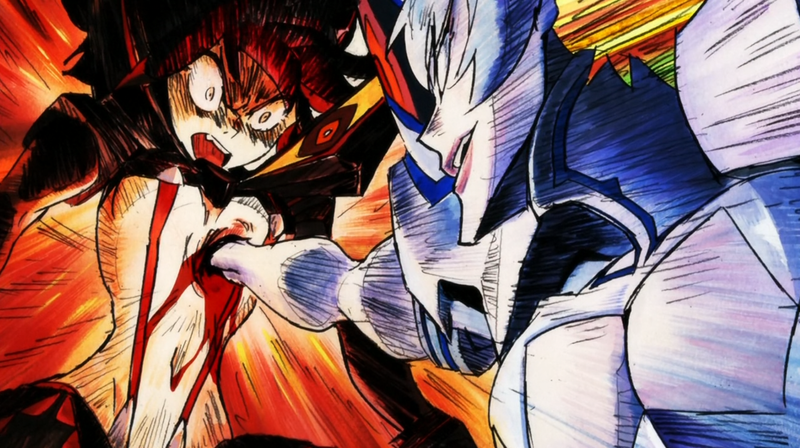 Senketsu claims that Ryuko and itself have never been so synchronized. 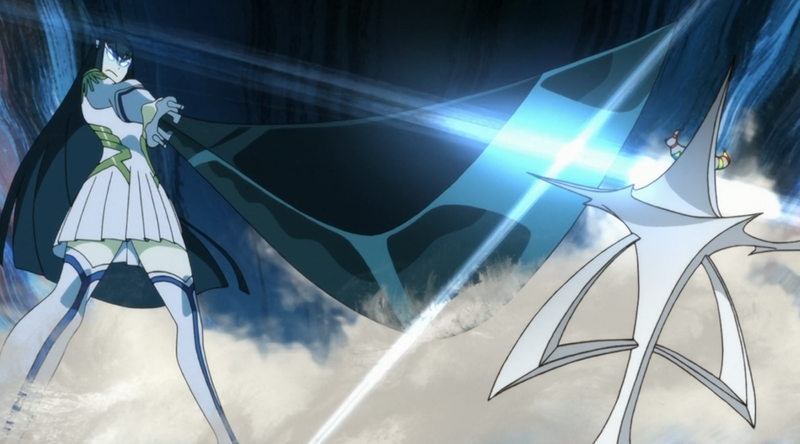 They shock Nui with their strength, meanwhile Satsuki aims to get revenge and kill her mother. She blinds her with light reflecting from her sword, then decapitates her. Kiryuin is far from dead however, she dominates Satsuki with her fists. Kiryuin strips Satsuki to her underwear, and dons the Junketsu herself. She then moves quickly behind Ryuko and rips out her heart. In the process she reveals that Ryuko is the daughter she thought was dead.